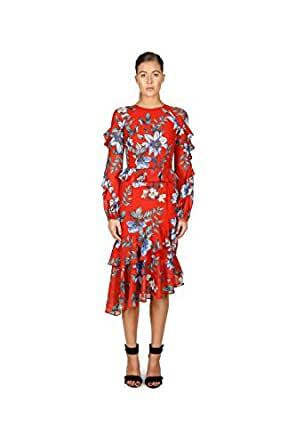 The vintage-inspired Floral Courtyard Long Sleeve Ruffel Dress by Cooper St is a summer must-have. With a print reminiscent of the iconic work by William Morris, the dress features oversized floral patterning in tonal green and blues atop a vivacious red shade. Flounce frill detailing beautifully finishes the flattering dress. Pair yours with a basket bag for the ultimate bohemian-luxe ensemble.